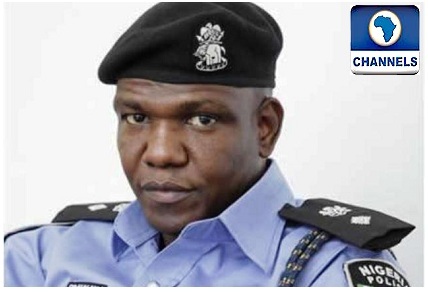 Officers of the Nigeria Police have arrested another high ranking member of the dreaded Islamist sect, Boko Haram, along Darazo-Basrika Road while fleeing from the intensive counter insurgency operations going on around the Balmo Forest, a statement by the Force Public Relations Officer, Mr Frank Mba said on Tuesday. The statement said the suspect, Mohammed Zakari, was arrested “following the massive onslaught by Security Forces on the activities of the insurgent group at the Balmo Forest, Bauchi State. “The suspect, who hails from Kaigamari Village, Daptchari in Darazo Local Government Area, Bauchi State is the self-styled “chief butcher” of the insurgent group at the Balmo Forest Camp and is linked with the recent slaughter of seven (7) people, including women and children. “The suspect whom investigation reveals was tutored in the art of insurgency at Gombe Forest under the leadership of a fleeing insurgent, one Abba Taura and moved to Balmo Forest only three months ago, is discovered to have actively participated in the April attack against Customs officers at Kari Town, along Maiduguri Road, Bauchi State”, the statement added. It further noted “that Findings as well as disclosures from the suspect will assist the Law enforcement agencies in tracking down some other members of the terror cell”. Meanwhile, the Police High Command has called on citizens in the affected areas to be on guard for any suspicious or strange character fleeing from Balmo Forest. It also called for the understanding and support of the public for the efforts of the Police and other security forces in tackling insurgency, terrorism and other related crimes headlong, noting that although the war on terrorism is unrelenting, it is certainly not insurmountable and must be won with the cooperation of all.